James’ next documentary, Stevie, also with Kartemquin, won major festival awards at Sundance, Amsterdam, Yamagata and Philadelphia, and was nominated for an Independent Spirit Award. The acclaimed feature landed on a dozen "Top Ten Films of the Year" lists for 2003. With Kartemquin, James was also an executive producer, story director, and co-editor of the PBS series, The New Americans, which won two Chicago International Television Festival Golden Hugos, and the prestigious 2004 International Documentary Association Award for Best Limited Series for Television. In 2005, James completed the documentary Reel Paradise, his fourth film to premiere at the Sundance Film Festival. James served as producer and editor of The War Tapes, a documentary comprised of video footage shot by American soldiers in Iraq. The film won the top prize at both the 2006 Tribeca Film Festival, and the inaugural 2006 BritDoc Film Festival. In 2008, he co-produced and co-directed with Peter Gilbert the acclaimed At the Death House Door for Kartemquin, which won the top prize at the Atlanta Film Festival, the Inspiration Award at the Full Frame Documentary Film Festival, and aired on IFC-TV. At the Death House Door is James’ fourth film to be officially short-listed for the Academy Award. James’ 2010 Kartemquin documentary No Crossover: The Trial of Allen Iverson had its world premiere at the SXSW Film Festival and aired as part of ESPN Films’ 2010 International Documentary Association award-winning series 30 for 30. The film was selected for the IDOCS International Documentary Forum in Beijing, and also played at the Cleveland, Full Frame, Dallas, Nashville and Atlanta film festivals, among others, as well as earning James the Best Director award at the Midwest Film Awards. In 2011, No Crossover was selected by the U.S. Department of State for the American Documentary Showcase. In 2011 James will release his sixth film in partnership with Kartemquin, The Interrupters. 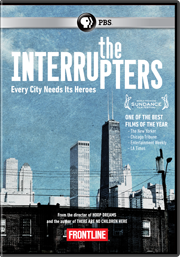 Marking a return to some of the same Chicago neighborhoods featured in Hoop Dreams, The Interrupters investigates the stubborn persistance of violence in American cities. James co-produced the film with acclaimed writer Alex Kotlowitz (There Are No Children Here). The film is his fifth feature be selected for the Sundance Film Festival, and will be broadcast on PBS FRONTLINE in late 2011. Zak is Kartemquin Films' Director of Production and has been on staff at Kartemquin since 2002. Most recently he served as Co-Producer on At the Death House Door. That film premiered at the 2008 SXSW Film Festival and went on to win awards at the Atlanta Film Festival, the Full Frame Documentary Festival, DOC NZ, and Doc Aviv. It was a finalist for the Human Rights award at IDFA in 2008 and was officially short-listed in the Best Documentary category for the 81st Annual Academy Awards. 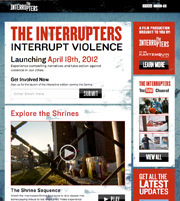 Currently, Zak is co-producing The Interrupters with Steve James and Alex Kotlowitz, an ITVS-funded project that will air as part of the Frontline series in 2011. Zak is also the Associate Producer of Prisoner of Her Past, Kartemquin’s co-production with The Chicago Tribune, that will be released in the spring of 2010. Zak served as the Location Sound Recordist for At The Death House Door, In the Family, Prisoner of Her Past, and Typeface. Previously, he has acted as sound recordist on a variety of documentaries for the CBC, Channel 4, and PBS. Zak began at Kartemquin by serving as Post Production Manager and Audio Mixer on the acclaimed PBS documentary mini-series, The New Americans. He received his Bachelor’s Degree from Columbia College Chicago in 2001 in Film and Video. Aaron Wickenden is a filmmaker with extensive experience in post-production. He recently Co-Produced, Co-Edited, and was the Post-Production Supervisor for Kartemquin's award winning film At the Death House Door (2008). Wickenden's post career began in documentary when he was the Post-Production Coordinator and Graphics Compositor for The New Americans (2004). He went on to be the Associate Producer, Post-Production Supervisor and Additional Editor on the feature documentary Reel Paradise (2005), which premiered at the Sundance Film Festival and was released theatrically. On his next project, The War Tapes (2006), the first war documentary shot by American soldiers themselves, Wickenden served as Associate Editor and Post-Production Supervisor. His recent work also includes Assistant Editor to the Academy Award winning Editor Lisa Fruchtman on the dramatic feature Bonneville (2007), and Associate Producer and Additional Editing on the Kartemquin documentary Milking the Rhino (2008). He is currently collaborating on a book titled Almost There about the life and scrapbooks of an outsider artist living in East Chicago, IL, and editing for The Interrupters.